I finally made it to Seattle recently and stopped in at Easy Street Records. What an amazing place. The Pearl Jam pop up store was there so also picked up a bunch of cool merch. It was just so nice to be in a place where everyone loved this band as much as I do! Incredible store! Always one of my first stops when I go to Seattle. I regret not going there when my wife & I were in town in early August. It turned out to be the same night McCready was there promoting a Hockeytalkter release. My first trip to Easy Street Records was December '13 & my latest was November '16. Both trips visiting that store were pretty cool! Hopefully their Pearl Jam Pop Up is still running for the next few years. Would love to check it out the next time I'm in Seattle. Yeah hope so. The pop up had so many shirts and so much vinyl! Have family in the area so I make it a point to stop by when I’m in town. The breakfast isn’t bad and you never know who you’ll run into from the PJ camp. 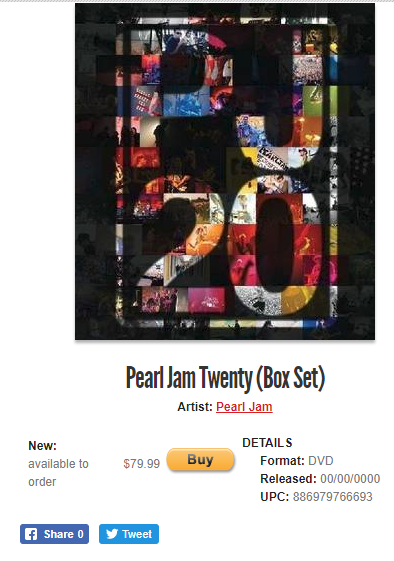 If you are still ISO one of these, pick up the first run edition DVD Box Set of Pearl Jam Twenty over @ ; http://easystreetonline.com/UPC/886979766693/Pearl-Jam_Pearl-Jam-Twenty-Box-Set or head on over to the store now! We had a great visit there in July 2011 while in town for the first EV solo show. Love the store and the whole West Seattle vibe. Felt to some degree like turning the clock back to the 1970's. Picked up an original pressing of Live at Leeds. 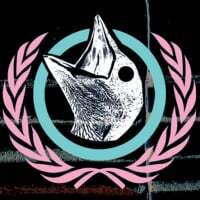 i bought one of those PJ20 boxsets unopened in a little record store in Boston this past summer for $24.